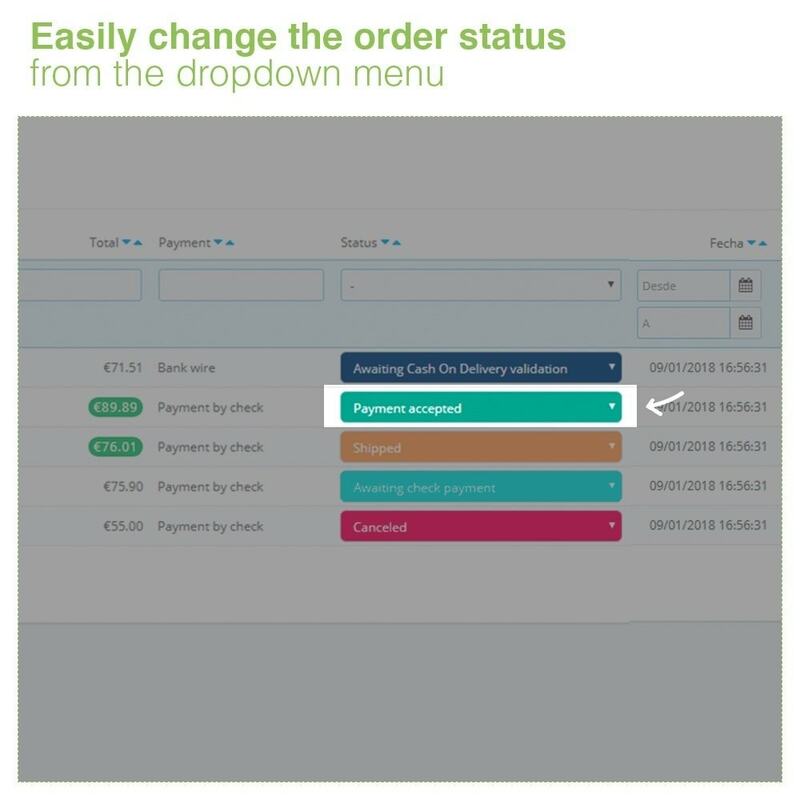 The module allows you to change to status of orders directly from the order list, without having to edit/open orders. 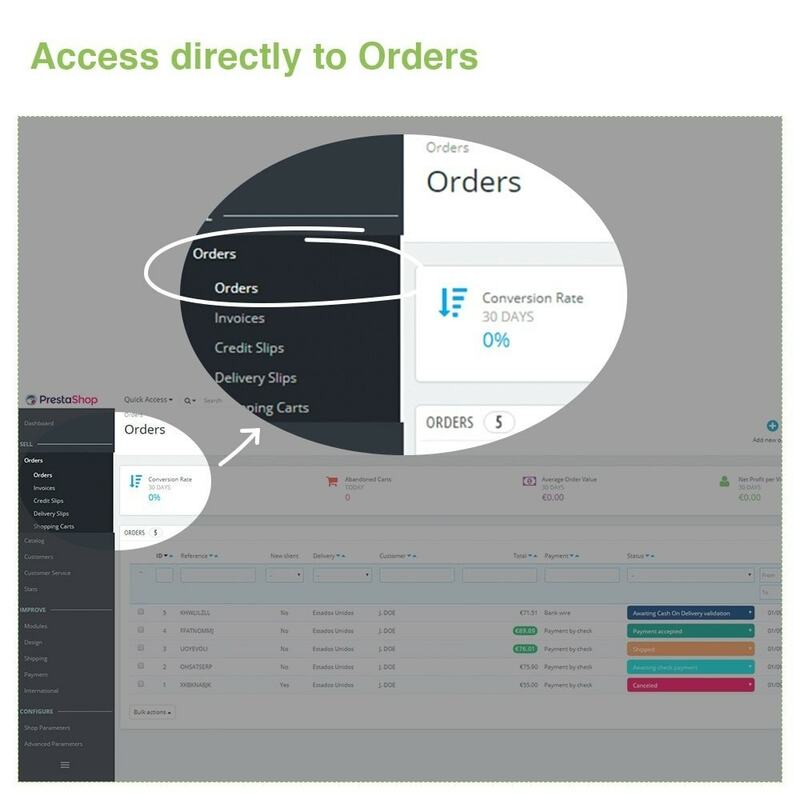 The module adds a dropdown menu next to each order on the page "Orders > Orders" of your backoffice and you just need to select a new status. 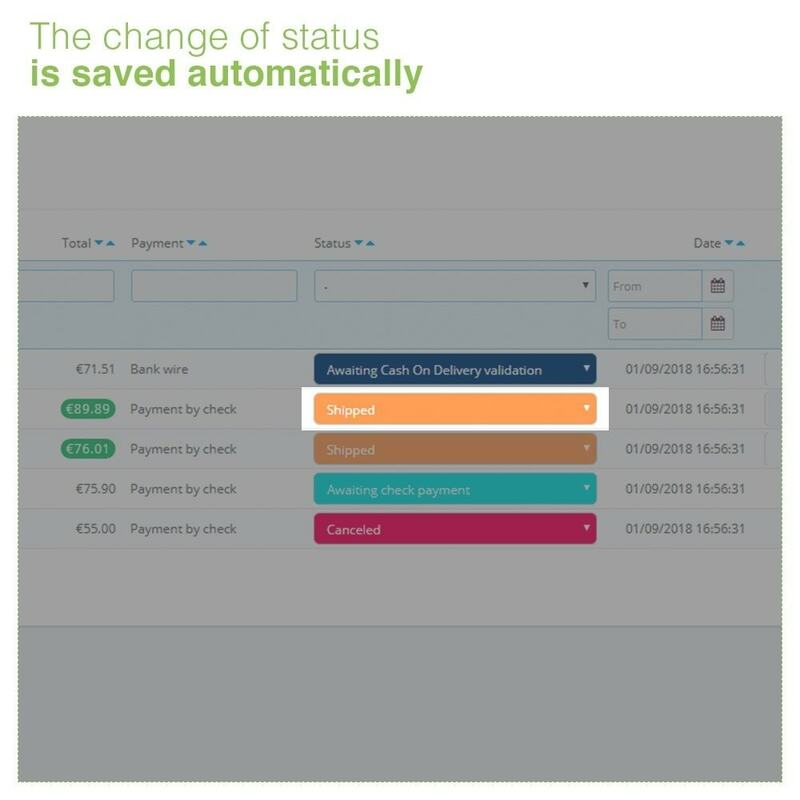 The selected status is saved automatically when clicking on it in the dropdown menu. 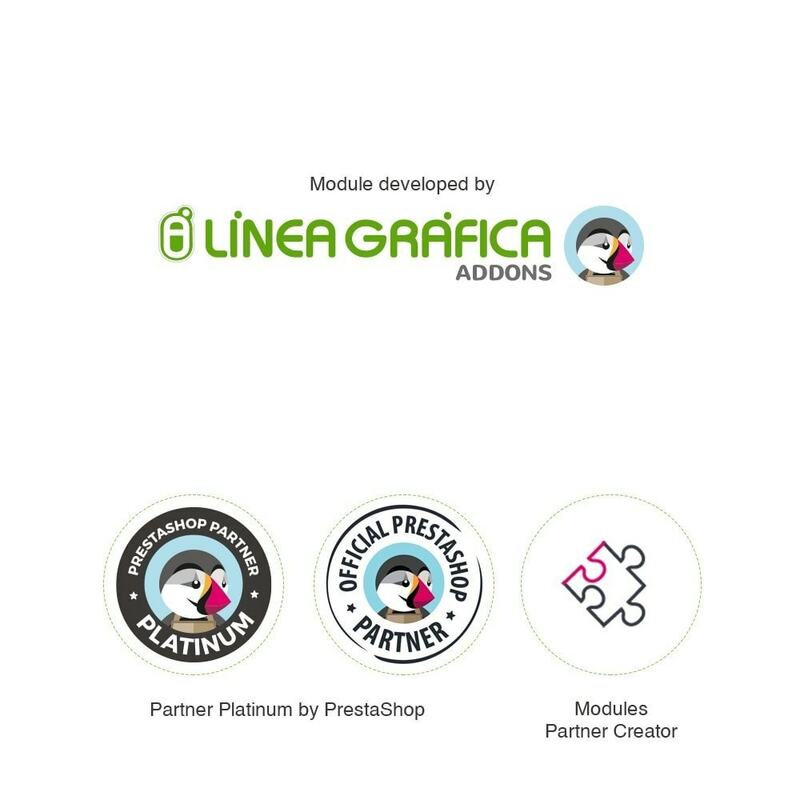 The module work perfectly without do anything that install it :) fast support if you have a problem or question, really perfect. 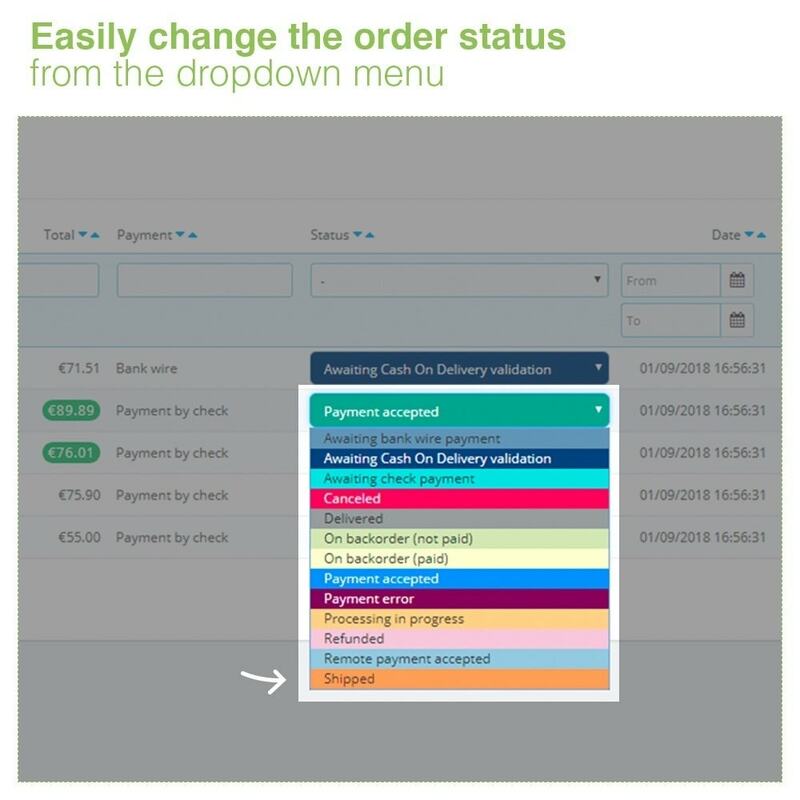 FIX: Employed who chage status not stored on order status history.